Massive selection of Quads/AAAA flowers at already discounted prices. 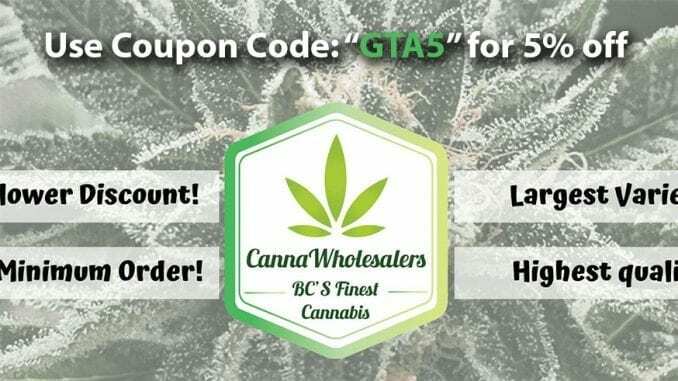 Quality, affordability, and dedication to making sure their customers are happy really set CannaWholesalers apart from their competitors. They’ve proven that selling in bulk doesn’t have to mean you get lower quality products. Everything they offer is absolute top-quality, with a healthy selection too. That works out great, because the more you buy the bigger discount you get. For example, if it’s time to stock up on 3 ounces or more, you can get 35% off. Now THAT is a deal!